Stand out as one of the best-dressed! 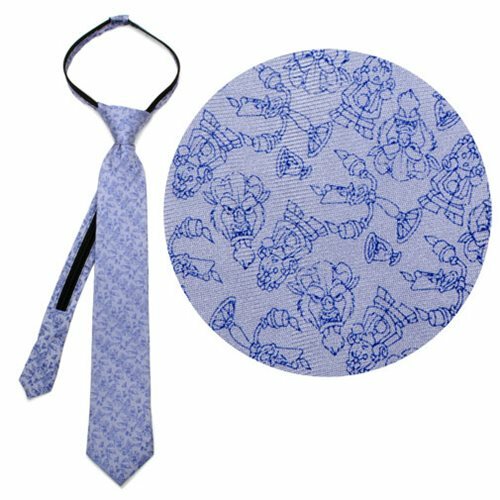 The Beauty and the Beast Characters Gray Boys Zipper Silk Tie features a gray background with images of the Beast, Lumiere, Cogsworth, and Chip. The tie is a must have for young Disney fans. The tie measures approximately 14-inches long x 2 3/8-inches wide. Pre-tied with zip closure for easy-on, easy-off.